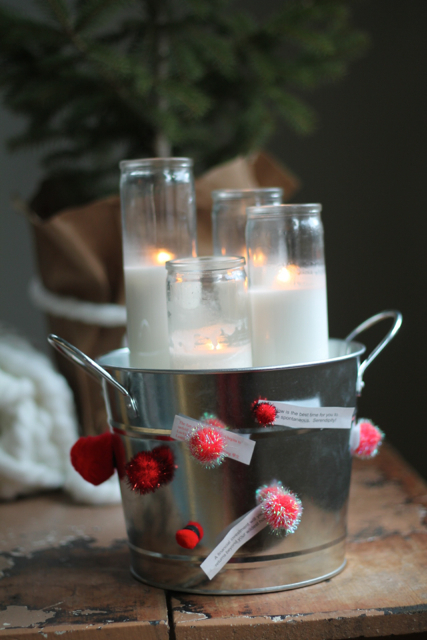 We like to collect our fortune cookie fortunes – I decided to display them on my latest centerpiece. 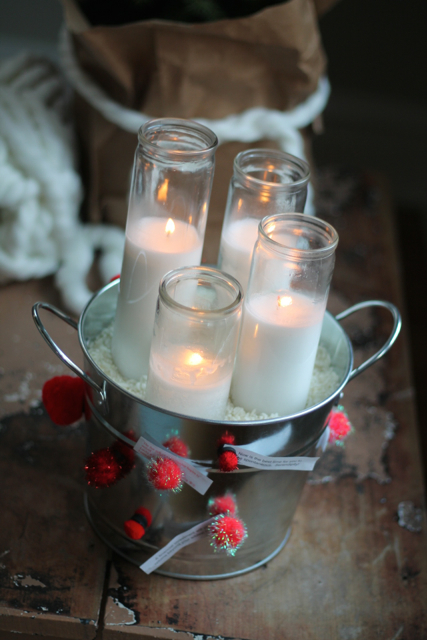 A metal bucket (from the dollar spot at Target $3) is filled with dry rice and tall votives. 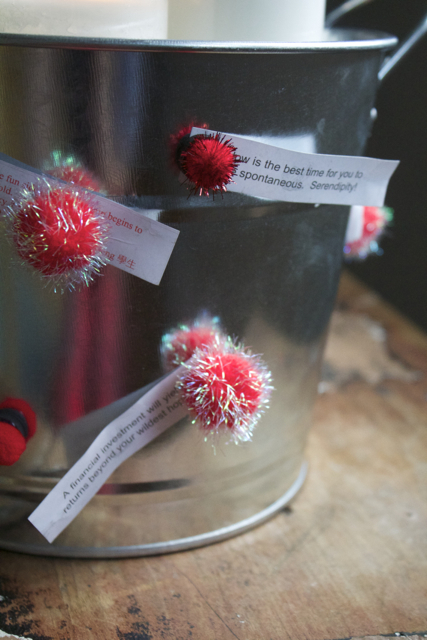 I hot-glued pom-poms to craft magnets (both from craft stores) to secure our collection of fortunes to the exterior of the bucket. 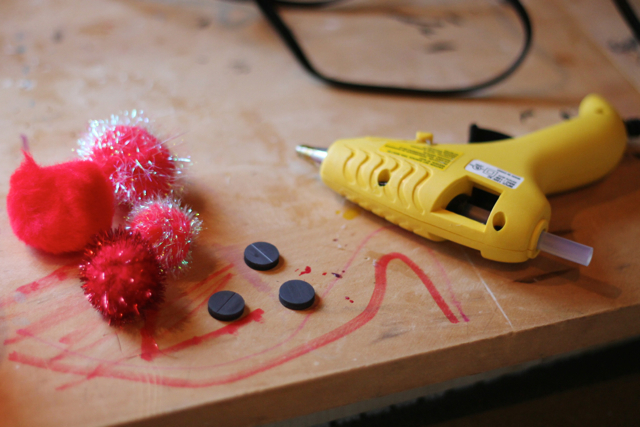 Buy a bag of pom-poms and a bag of small craft magnets and hot glue the pom-poms to the magnets. Fun and different for the new year.